The Enola’s administrative shuttle, entered Knome’s atmosphere without any contact or alert from Knome’s Orbital Patrol, which made First Officer Rand Sodus nervous. Without a grant to enter Knomen air space, what he was doing would be considered an invasion and subject to attack without warning. However, all communication channels were eerily silent as the shuttle entered Knome’s atmosphere. Avix1 took an unusual beating as it penetrated the planet’s heavy protective layer. The ship began to destabilize from the intense heat and drag. As the shuttle entered the planet’s stratosphere the ship began to stabilized. Rand loosened his harness and began taking soundness and damage control readings. He scanned all communication channels for any contact from the Knomen Republic. All channels were mute. As far as he knew, Knome had no real air defense, but if what Captain Miso had reported was true, then Knome was quite capable of defending its territorial air space.Rand opened the shuttle’s forward view port letting in a burst of light that momentarily blinded him. Rand immediately resealed the view port. He then checked the long-range scanners for any sign of a pursuing craft. Finding no sign of any craft to the edges of his detectable scans, he began to breathe a little easier. Rand opened a secure channel back to the Enola. He issued an alert and waited for an acknowledgement. On the Enola’s bridge, a dozen crew men and women were studiously engaged at their various stations, while Captain Miso occupied the center chair. He was preoccupied, wondering what he got himself and his crew into. Canceling the Enola’s return on the Tug would cost a hefty penalty. The cost in fuel and man hours for this diversion to Knome would also be high, and then there would be the time he and his crew would have to endure under interrogation once the Enola arrived back at its home port. Miso began to sink lower in his seat to match his spirit. By this time, he had told his senior officials the real reason for their diversion and he wondered what repercussions he and his staff would have to face once they got back to Akadia. It was too late now; their docking permit was rescinded and they were now near the declared airspace of the Knomen Republic. At the Communication Desk, the officer on duty locked in an incoming alert from the Enola’s Admin shuttle. He issued a confirmation response and opened the channel. Captain Miso immediately rose from his chair, discarding his regrets and walked over to the communication desk. He gestured for the comms officer to rise. Taken aback momentarily, the officer did as he was told, rising slowly from his seat while passing the comms headset to Miso. “I’ll take it, Miso demanded. He sat down and began making a few adjustments for comfort and he noticed the comms officer still standing next to him. “Go help Monitor the scanners,” he ordered, just to get the officer away from hovering over him. Miso watched as the man obeyed, walking towards and standing near a wall of scanners. As he put on the communication gear and opened the secure channel to the shuttle he sighed as if to shake off doubt and build resolve. “Rand, this is Miso, go ahead. “What’s your location?” Miso asked. “Good,” Miso replied, relieved that they cleared the first hurdle. Miso wanted to locate the targets, bring them on board and vacate the area as fast as possible. Something did not feel right to him, he wanted to complete this mission and soon. “Stay alert, I’m uneasy with all of this,” Miso confessed. “I will. I’m going to proceed toward the Volton’s last known coordinates. Do you want me to leave this channel up?” Rand asked. “Will do sir.” Rand shut down the channel, and initiated the shuttle’s surface scanners as he accelerated the ship towards the Volton’s last known coordinates. Traveling at night brought some relief from the waterless plains of Knome’s Basin Lake. Teric, Kore, Jasen and Wilhelm were now pleased to see the rising star bringing some needed heat to the group and revealing in the pre-dawn light a forested mountain just ahead of them. Having made it to their current position safely under the cover of darkness, they were now open targets in the daylight. They needed to get to that forest in which they could disappear. Jasen and Wilhelm were still riding on the lone ja-rak, while Teric and Kore walked. Teric was alone in the lead, Kore was trailing him at some distance and Jasen and Wilhelm brought up the rear. “That would be good. I know, I’ve been riding all this time, but I’m exhausted,” Wilhelm replied. Wilhelm shifted his weight to his left to relieve the increasing pain on his ribs. “Those Surface Riders arrived at Pogo’s place, not long after I woke up, lots of them. Pogo and his son hid me away in an underground room in their house. I could hear them beating him, it was awful,” Wilhelm paused trying to control the rising tension he felt at the memory of those sounds. He sighed. “What happened to Pogo and his son,” Jasen inquired. “Well once I emerged from the burning structure to the outside, the surface riders were gone. Pogo and his son were dead, their bodies burned worse,” Wilhelm gagged as he recalled the condition of Pogo and Dru’s bodies. Dozens of blaster marks, blackened flesh exposing bone, an overpowering stench as their flesh continued to bake. “Are you alright,” Jasen asked holding on to Wilhelm as Wilhelm bent forward. “Yeah, I’m alright,” Wilhelm coughed out as he fought his natural reflex to vomit. Jasen was amazed that Wilhelm had escaped. He should have been dead, twice, he thought. First Surviving a warp out, without a hibernation pod, then escaping a fire and a fierce attack. He should have been dead three times, Jasen thought. He felt respect for this royal, this man who had been burned half to death. “How are your wounds,” Jasen asked. “Painful,” Wilhelm replied. Being reminded of his wounds seemed to make the pain increase. He began to shiver from it. “That would be welcomed,” Wilhelm pleaded. Jasen grabbed tightly onto the reins and nudged the ja-rak into a trot. Rand hovered the shuttle above the wreckage of a ship half buried in the sand. He maneuvered the ship circling the wreckage looking for any identifying markers. He could not see much as the exhaust from the shuttle was violently blowing the sands around, making it hard to see anything below the ship. He pulled back on the gear stick, lifting the shuttle high enough to end the shuttle induced sandstorm. He switched his comm channel to active. “I reached the coordinates and about 10km north of those numbers, I am hovering above the wreckage of a ship. I just sent you images. “No sir. What now?” Rand inquired. There was a long silence on the other end. Rand examined his readouts while he waited. Rand, switched the line back to monitor and programmed the coordinates into his navigation system and accelerated north. After giving the Medic kit to Jasen, Kore walked quickly to meet up with Teric. He walked along side Teric for some time, observing him as Teric walked with his eyes closed. Kore was bursting with curiosity since observing Teric’s incredible defense of Wilhelm against those Surface Riders. He observed the sword strapped to Teric’s back. He marveled and was in awe of that sword. He leaned over to look at Teric and was startled to see his eyes now opened. “Are you alright,” Teric asked without breaking his stride. “oh yes,” Kore replied startled. “Is there something you need,” Teric asked, sensing Kore’s nervousness. “I wanted to ask you about your sword,” Kore replied, after gaining his composure. Kore, took a moment, to summon his courage. “Where did you get it,” he asked. Teric continued to walk, considering Kore's question, debating whether he should answer him or not. He slowed his pace. “You discovered it, Kore interrupted. “Yes, I took shelter in a cave during a lightning storm one night. I tried to sleep, but, there was this low tone that seemed to invade my mind, I couldn’t sleep. It was a tone I couldn’t hear with my ears, so when I got up to try to locate the sound, I couldn’t find it. So, I laid down again to try and sleep, and, I sensed it again. After several non-successful attempts to locate the sound, I just laid down and let it invade my mind. I don’t know how long I laid there, but after a while I rose, not physically, but with my mind. Now, I know that sounds crazy, but, I was able to locate the source with my mind. Then I rose physically and went right to where my mind led me, and, I began to dig, soon I uncovered the hilt of the sword. It took hours of digging to free it fully, I was exhausted, but I couldn’t stop, I had to possess it. After I finally freed it, I was amazed by how it felt in my hands, it was weightless, it seemed to know what I wanted it to do.” Teric paused. Teric and Kore continued to walk silently for some time. Teric recalled the event as he walked. He had no plans to use that sword in his rescue attempt. But as he crept through the Forrest on Cappia, he had reached the bunker where the hostages had been kept before they were taken deeper into the forest. As he investigated the bunker, he came up suddenly on a couple of men who had been left there. The men attempted to capture him, but as he began to run, they shot at him and, the bolts, were absorbed into the sword. Teric was shocked, as were his attackers. He then held the sword between him and the men as they continued to fire at him and every shot they fired, was absorbed into the sword. As Teric went on the attack, the energy absorbed into the sword was discharged in his cross cut attack on the men, dropping both men in one swing of his sword. That night, he experimented with that sword, discovering many of its amazing capabilities. “You called it the sword of the duma,” Teric spoke up as he stopped walking. Kore halted also, he faced Teric, smiling. “You believe this is the sword of this, duma,” Teric asked. Teric pulled the sword from off his back, removing it from its scabbard, he held it up, observing it. He approached Kore to allow him to observe it also. The long black double-edge sword was smooth and beautiful, it glistened like water. The longer Kore looked, the presence of some type of etching became visible. It had surprised Kore when he had tried to lift it earlier, when Teric was unconscious. He didn't expect it to be so heavy, yet, he nearly fell when he tried to lift it. “I am unfamiliar with those stories,” Teric admitted. “Well, I will tell you all that I know,” Kore said, placing his hand on Teric’s shoulder. An indicator light on the scanner panel of the Enola’s administrative shuttle began to flash. Rand tapped the corresponding button, terminating the indicator’s flash. He reviewed the scanner’s grid which indicated three large heat signatures of significant size just at the edge of his detectable range. Rand adjusted the shuttle slightly to head in the direction of the detected objects. He opened his comm channel to the Enola. “Captain…” Rand paused in expectation of a reply. But there was no response from the Enola. Rand checked the controls and slowly clicked through several sub-channels trying to reach the Enola. He took a quick glance out of the view port, seeing nothing but sky and sand. Rand switched back to the main line and still the comm was silent. He frowned, concerned, but not yet ready to panic as his receiver began to crackled with static. “I’m here,” Captain Miso finally answered. “No, we had some connection issues on our end, where…,” The audio went down again with a sprinkling of static. “Sir,” Rand called as he tried to fine tune the comm channel knowing it was not the problem. “I am heading in the direction of three heat signatures I detected.” Rand replied. “That could be our guys,” Miso almost yelled with excitement. “Did you say three?” Miso asked. “That’s not good, there should be, four, five I believe,” Miso replied concerned. “It’s possible. One of the elements is much larger than the other two, which may indicate an animal, that’s being ridden. Jason dismounted the ja-rak, letting William ride solo. They had just caught up to Teric and Kore who had stopped for water after dropping their gear on the ground. “Let me have some of that,” Jasen called out as he approached the pair. “All yours,” Kore replied handing him the water pouch. As Jasen leaned his head back to drink, he spotted something in the sky, something that seemed to be heading for their position. He didn’t drink, instead he lowered the water pouch and strained to identify the object. “Hey, where are those viewers?” He asked. Kore handed Jasen the viewer and began to follow Jasen’s gaze. Teric didn’t need the viewers, he could see the aircraft heading in their direction. “It’s a ship,” Jasen called out. Teric began to quickly gather their gear and secure it upon the ja-rak. “Wilhelm, you need to make for the forest as fast as you can,” Teric ordered as he pointed to the forested hill side in the distance. He slapped the ja-rak and it began to trot away before Wilhelm could utter a word. “We have to go,” Teric called to the others. Jasen and Kore complied and began to follow Teric. They could now hear the roar of the approaching aircraft. “Run,” Teric called out as he lingered behind the others. Kore and Jasen began to run following Wilhelm’s trail. The ship was now almost upon them and the roar of its engine drowned out any other sound in the area. Teric drew his blaster as the ship flew over him. He took aim and then stopped. Jasen continued to run hard, his heart felt as if it would burst from his chest. The deafening roar of the ship caused Jasen to turn around and look behind. He saw Kore crash to the ground. Kore tumbled on to his back as the ship flew over him. Looking up to the underside of the ship, Kore saw a marking on the ship that completely changed his disposition. As the ship flew past Wilhelm and began to turn around, Kore stood up and began to jump, point and yell. Jasen stopped running in response to Kore's reaction. He couldn’t hear him, but his manner told him there was nothing to fear. He turned to look at the ship that was now approaching them again and slowing. Teric had caught up to Kore and was waving to Jasen to come back towards them. The ship was now hovering above them, and it was clear that the markings on the ship Identified it as an Akadian vessel. Kore was ecstatic. “Captain, I found them,” Rand screamed, literally into his headset. He began to maneuver the shuttle into the vicinity of the men who were no longer running, instead he could see them gathering. He tried again to contact the Enola. The line had nothing but static. Rand tried to ignore his growing anxiety as he began to initiate the shuttle’s landing gear. Looking behind, Wilhelm noticed that the others were no longer running. He halted the ja-rak and began to turn the animal around, when he heard a loud piercing sound that caused him to drop the reins and to cover his ears. He saw a blinding white flash of light, like lightening appear in the sky, speeding so fast that is was hard for him to follow it. 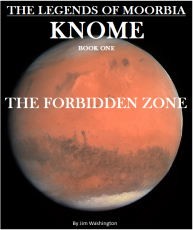 As he tried to follow it, all of a sudden, a burst of white light that outshone Knome’s star exploded and for a second it absorbed all light and sound. The white light then evolved into a fiery ball of heat and power. The impact was deafening, as the exploding shuttle burst into a million pieces. Wilhelm stood up clutching his head, trying to figure out how he got on the ground. He felt himself screaming but he could not hear the scream. He was disoriented as he tried to regain his balance. His ears rang so intensely it pained him. His eyes burned with the image of that white light. He crawled on the ground searching for something he could not remember. Slowly, his hearing and eyesight began to return, just in time to hear a deafening roar that consumed his total hearing. A ship in a blur, flashed by in a sonic burst, streaking across the sky. Fire, smoke and debris rained down on Teric, Jasen and Kore after the impact of the shuttle’s explosion knocked them to the ground. Teric rose immediately rubbing his eyes, seeing only a thick cloud of smoke that burned his eyes as he tried to open them. Kore and Jasen were on the ground moving slowly, in pain. Teric shook his head trying to rid himself of the ringing in his ear and the disorientation he felt. He began to run out of the blast area, and as he looked up he saw the ship that attacked the shuttle fly out of sight. He reentered the blast area to look for Kore and Jasen. Kore could not hear a word Teric was speaking, but he sensed what he was trying to get him to do and he tried to comply, but felt so weak, falling several times back onto the ground. Jasen was already moving, maneuvering around pieces of the shuttle that had fallen to the surface. Jasen just ran without cause or reason. Then he fell to the ground, not because he tripped or felt weak, but because Teric had tackled him. “Jasen, you’re going the wrong way,” Teric yelled, lifting and pulling him in the direction he wanted him to go. Wilhelm stood, staring at the cloud of smoke blocking his view of his friends, his eyesight and hearing had returned completely and he watched hoping for any sign of life from his friends. Wilhelm wanted to go and search for them, but thought it would be better to go after the ja-rak which had trotted away and was now some distance from him. As he pursued the beast, he kept turning around surveying the area where his friends would be. Captain Miso, frantically tried to raise communication to the shuttle. He had been informed that all traces of the shuttle had terminated. Despite the grim report, Miso continued to try every comm channel to establish a link with his second in command. “Blast,” he banged his hands on the console keyboard. After sitting for some time, Captain Miso sat up and began to reset the communication console. He then began to type out a message and once completed he stood up, taking off the communications gear, then he walked over to the captain’s chair. He Pressed a button on the arm of the chair. “Yes, captain,” came a voice on the overhead speaker. “Yes sir,” Came the reply. “Captain, what are you going to do,” asked the navigation officer. The rest of the bridge crew locked eyes with one another, each of them having the same thought, but none with courage enough to tell Miso that Rand was probably dead. “Captain, Captain,” came a panicked cry from the scanning deck as warning lights began to flash on the console. “What is it,” Miso asked irritated. “What,” Miso demanded, as he began to walk towards the scan station. Miso arrived and examined the monitor. He was at a loss for words at what he was seeing. 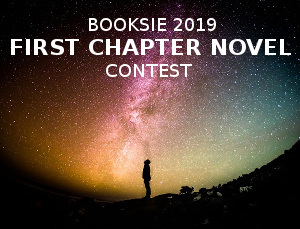 By the time Wilhelm had reached and took control of the runaway ja-rak, Teric, Kore and Jason had finally emerged from the blast area, running and searching the sky. Wilhelm was ecstatic and relieved to see his friends, and then his whole mood changed to horror and fear. Wilhelm saw three large ships slowly approaching the blast area. Teric, Kore and Jasen had not noticed as they were approaching him with their backs to the oncoming ships. The menacing looking ships were large and black, long wings protruding out from its oval hull. The ships were flying side by side advancing closer to his friends. Wilhelm yelled, pointing to the sky. He mounted the ja-rack and began to gallop towards his friends. Teric, Kore and Jasen, looked at each other in response to Wilhelm’s antics. Teric figured out what Wilhelm was trying to communicate and he turn to look behind him. “Run,” was all he said. “Run.” Kore and Jasen both looked behind and nearly stumbled over each other at the site. Jasen immediately began to run. Kore however, stood, looking at the approaching ships. “Kore, let’s go,” Teric stopped and yelled after noticing the Kore was no longer beside him. “Drop ships,” Kore said to himself. He then turned to run, catching up to Teric who was waiting for him. “Soldiers?” Teric said, more to himself than to anyone else. “Yes, maybe one hundred or more,” Kore replied. No sooner had Kore identified the hovering ships, a large door on the underside of the crafts began to open as long cables began to drop from the ships to the ground. Troops began to slide down the cable to the ground below, dozens and dozens of them. Wilhelm pulled hard on the reins upon seeing the troops dropping from the hovering crafts. “Come on,” Wilhelm yelled, trying to will his companions to run faster. Teric had come close enough to hear him yelling. Teric began to wave Wilhelm on. “Go, Wilhelm, don’t wait for us, go,” He yelled. Wilhelm turned the ja-rak around and began to push it hard for the forest ahead. Teric stopped to allow Kore and Jasen to catch up and pass him. “Keep going, don’t stop.” He looked behind at the approaching troop hoard. Teric drew his sword from his scabbard. Hurdling toward the Enola at incredible speeds, were dozens, hundreds of missiles, filling the visible view on the Enola’s starboard side. The missiles were self-propelled with a sharp jagged tip, glowing red hot. The Enola was in the process of making an evasive maneuver out of the trajectory of the incoming swarm. Starboard Canon Turrets were targeting and firing on the missiles, hitting a few, but the small size of the projectiles and at the speed they were traveling the missiles were proving to be elusive, and there were just too many of them. “Captain, the missiles are guided, they are changing to match our course,” yelled, the scan control officer. The menacing hoard of black clad heavily armed soldiers hit the ground running, racing, bumping into one another while spitting bolts of lasers in Teric’s direction. Teric maneuvered himself so that his sword would block any lasers targeting his companions. He ran after Kore and Jasen, holding his sword high. He was finding it difficult to keep his sword elevated as hundreds of bolts were being pulled into the blade’s magnetic like field. The sword was becoming heavy as drops of energy began to drip down the hilt and onto Teric’s hand and arms coming into contact with the thin film of Bordark skin he wore under his clothing. He dropped the sword when the weight of it became unbearable. He stopped and turned around to face the oncoming force. His sword was crackling and sparking, dripping energy and emitting a high pitch tone as he now held the sword high with both hands. Shifting the hilt to his right hand he brought the blade down and swung it to his left in a half arc sending a wave of the crackling energy from the blade toward the advancing hoard. Reaching them, the impact of that arc of energy brought down the first wave of soldiers, hitting them like a wall and bringing down a few in the second wave who managed not to tumble over the bodies of the fallen in that first wave. Continuing from his first motion Teric now swung the blade with all his might from left to right sending another arc of energy with more force toward the soldiers, who were now busy trying to step over the bodies of the dead, only to be overtaken by a second arc that fell even more than the first, decapitating more than a few. With the attack virtually halted, Teric turned and began to run after his companions. Captain Miso was perplexed as he watched the scans of the oncoming swarm, which reminded him of a murmuration of a flock of birds, as the swarm shifted back into a collision course with the Enola, after a second evasive maneuver. “Dive on my mark,” Miso called out to his helmsman. Sirens were now blasting throughout the ship as panicked men and women made their way toward the shuttle bays and to the evacuation pod depot. “Impact in 30 seconds,” came a voice from somewhere on the bridge. “Have you diverted all power to our starboard shields,” Miso called. The Enola’s stabilizing engines cut out as the bow of the ship began a nose dive. “Push those engine,” Miso screamed. The impact of the missile swarm was massive and sustained. The shock wave moved the Enola, now in a full power dive, off course. The superheated tipped missiles penetrated into the Enola’s hull. However, the expected explosions never came as the helmsman worked hard to right the ship. The starboard side to the Enola had hundreds of small missiles buried in the hull or in the Enola’s thick window ports. “What happened,” Miso called out. “Sir, you better come look at this,” came a voice just outside the bridge. Miso and others raced down toward an observation desk on the starboard side. When they arrived, they could see more than a dozen missiles burrowed into the observation deck's view port. There was a piercing sound in the room as they noticed that the missiles were equipped with some kind of drilling mechanism and they were drilling with a white-hot laser into the deck’s glass and into its hull. “No, they’re going to breach the glass, the hull, the whole ship,” Miso realized in horror. “What do we do,” a horrified crewman asked. “Continue the evacuation and fast, once the integrity of this ship is breached we won’t have a chance. Teric had gained more distance between him and the soldiers chasing him. Again, he ran with his sword held high drawing in any bolts that reached him. Wilhelm was nearing the forest’s edge when, one of the drop ships advanced between him and the forest. More soldiers began dropping out of the ship as Wilhelm halted his ja-rack and turned around heading in Kore, Jasen and Teric’s direction. Kore and Jasen stopped and drew their weapons and continued to advance toward Wilhelm firing at the approaching soldiers. After one of the dropped ships past overhead, Teric had placed his sword in its scabbard on his back and began to run hard for Wilhelm’s position. As he did, he felt infused with a rush of adrenalin and power. His pace increased as the burden of his exertion seem to dissipate. As the soldiers chased after Wilhelm, bolts of lasers zoomed past him until one slammed into his ja-rack causing the animal to fall tumbling onto Wilhelm’s leg. He tried desperately to pull his leg from the animal, ignoring his pain, but he was unable. Bolts of lasers continued to slam into the beast splattering pieces of it away. Kore and Jasen were close enough that they began to take out a few soldiers. However, being in the open as they were, almost got them killed. Both men dropped to the ground and continued to fire their weapons. Wilhelm was now covered in ja-rak blood and guts and as the soldiers continued to blast at the animal, it became lighter allowing Wilhelm to be able to move his leg from under the remains of the animal. He crawled low on the ground but as a bolt of laser nearly hit him, he remained low, behind the dead ja-rak. Teric leaped over Kore and Jasen, his sword in hand and raised high, he called to them to follow him. He was now close enough that the bolts of lasers targeting Wilhelm began to bend toward his blade. Reaching Wilhelm, Teric told Kore and Jasen to get down. Teric slashed his blade sending an arc wave out from his sword, dropping dozens of the approaching men. Teric continued to run straight into the hoard of soldiers engaging in close combat. Kore, Jasen and Wilhelm rose when a laser bolt from behind nearly hit them. They now began to run toward Teric and away from the soldiers behind them. There were now two groups of soldiers approaching them from two sides. Teric was like a mad man, his blade was a blur as the resultant arc of energy could only be seen along with body parts of the soldiers that flew out as Teric attacked, he went through dozens in mere seconds. Teric stood, bodies all around him as he stared down another line of soldiers who guarded the forest’s edge. Teric turned toward Jasen, Kore and Wilhelm. “what’s wrong with him,” Wilhelm asked. Teric was drenched and his eyes were white, his face was streaked with a white substance and he was breathing heavy. “I don’t know, Kore replied. The Enola lost power and any control of its guidance systems. Only a dozen evac pods had been able to launch. The Enola had nine shuttles and the crew members were frantically piling into to them, breaching the shuttles capacity limits. Captain Miso and a few of his Senior staff remained on the bridge sealed off from the rest of the ship. The Enola began to drift. The missiles began tearing into the ship ripping the bubble of air and gravity in exchange for the vacuum of space. Bodies of those who could not escape were left floating within the dead ship. As soon as the missiles breached the hull's integrity, they began to explode. The explosions were constant and devastating. Jasen, Kore and Wilhelm now stood by Teric as the remaining group of soldiers, no longer firing their weapons began to close in on the group from both sides. Teric, with one hand on his sword held high, drew his blaster. Jasen and Kore, had their weapons ready and aimed. “Ok, what are we going to do,” Jasen asked. “When I say, you drop to the ground,” Teric commanded. “Did you hear me,” he asked. The soldiers continued to advance, weapons aimed, as they tried to enclose the group. The Enola continued its uncontrolled drift. Captain Miso sat barely in the Captain's chair harnessed as the pull of the ship made if difficult and the gravity on the bridge was failing. All ten shuttles made it out of the Enola. As they began to head towards Knome. A dozen fighter ships came out of nowhere and began to target the shuttles and evac pods that escaped the Enola. Miso and the last of his crew witnessed in horror the systematic murder of his remaining crewman as the unidentified fighters blasted every shuttle and pod into thousands of floating specks. Teric held is sword high. Just as Teric began to charge the soldiers between him and the forest, the soldiers began to drop to the ground in outcries of pain. Teric stopped in his tracks as most of the soldiers between him and the forest fell. “Come on,” Teric called out. The others rose and began to run, stepping over the fallen soldiers, running hard toward the forest. The soldiers behind them, did not pursue them. As Teric and the others reach the forest’s edge they saw about two or three dozen men, natives of the planet, carrying long rifles aimed at the soldiers. Teric slowed, but was encourage to approach by one of the natives. As they did, they were led deeper into the forest by some of the natives as most stood guard with weapons aimed at the remaining hoard of soldiers. The Enola's bridge was finally breached as multiple explosions ripped through the bridge, killing the few remaining men on board, including Captain Miso. Explosions continued as the ship began to break into pieces. Some of which were pulled into Knome’s orbit and into its atmosphere, breaking apart and burning up. This page was created in 0.3065 seconds.